As you may know, September is REALTOR Safety Month, so all month long we are going to focus on just that, how to protect yourself and your business. 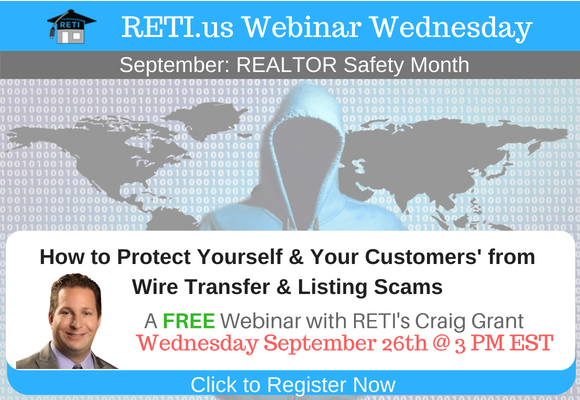 This week, Craig Grant will be focusing on how to protect Yourself and more importantly your clients’ from Wire Transfer, Listing Scams, Hackers & More. Trust us, you don’t want to miss this week’s webinar!